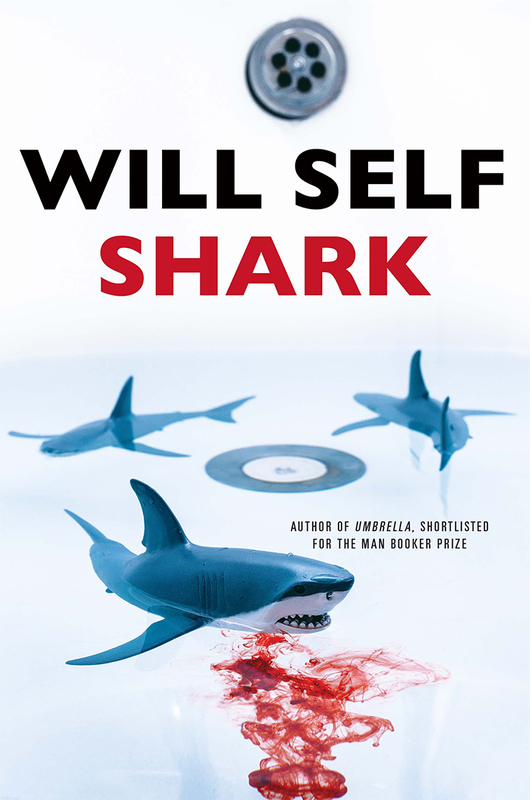 Shortlisted for the 2012 Man Booker Prize, Will Self’s Umbrella is a misunderstood and surprisingly overlooked gem and a precursor of sorts to his exceptional new novel Shark. The experimental Umbrella flows simultaneously across three timelines with stream-of-consciousness narrative and, to make matters worse (or better, if you’re an ambitious, daring reader), Self switches mid-sentence between these threads. Umbrella was published in the shadows of Hilary Mantel’s Bring Up The Bodies, the other towering achievement of 2012, which likely diverted much of Umbrella‘s potential audience. But those readers who cracked into Umbrella were rewarded with not only a story but also an experience. It is a bold novel that will make readers wonder why this sort of literature is rarely written anymore. Perhaps the boldest thing Will Self did with Umbrella was to give it a sequel. Or a prequel, or another simultaneous thread of consciousness-in-time: 2014’s Shark revisits the experimental psychologist Dr. Zack Busner and the De’Ath family, this time surrounding World War II, Nixon’s 1970s, and the summer of Jaws. Again, timelines flow rampant in Shark, but Self improves his conceit dramatically by jumping more often between characters instead of timelines, staying, for the most part, in their shared present-day existence. The cast of Shark inhabits Dr. Busner’s “Concept House,” a psychiatric co-op that’s as bad an idea as it sounds. Despite numerous flashbacks, the action of Shark takes place in a single day, with patients running around the facilities, as loose and gibbering as Shark‘s own narrative. When Busner’s associate, Dr. Roger Gourevitch, gives the patients a generous hit of LSD each (one for himself, of course, and one for Busner without him knowing) the Concept House derails further into a mad free-for-all of ideas, memories, and half-brained attempts at personal improvement. Central to Shark is Claude Evenrude, unfortunately known at Concept House as The Creep. Evenrude suffers from excruciating PTSD; he was “once the target-spotter for the Enola Gay, laterally – or so he managed to convince Roger – a political prisoner, held in asylums and prisons because of his principled objection to the bomb. That, and also his near-psychotic reaction to the horrors he had not simply witnessed, but actually helped cause.” Haunted by the “skin angels” he was sure to have seen rising through the atomic blast, he was later stationed on the U.S.S. Indianapolis, which was torpedoed by the Japanese after the bomb was dropped. This was one of the worst U.S. naval disasters in history, with hundreds upon hundreds of casualties. Those who survived on lifeboats had to watch their fellow soldiers picked away by encircling sharks until a rescue finally came. Shark is a more humble, readable excursion than its predecessor and it gleams with a kindness to its readers that shines brighter as the novel progresses. It is a joy to struggle with Shark, to circle around its threads, hungry for something to bite. The trouble with Shark is what it inevitably does to Umbrella, which in comparison reads like a less-developed attempt to tell the same broad stories about character and collective sub-consciousness. Unless reading both books in tandem, as two parts of a larger, two-volume novel, Shark renders Umbrella into little more that the author’s first attempt at this new, unhinged style. There’s a side of me that wants Will Self to never write a conventional novel again and continue his rhapsodic unspooling of literature, but another novel might again feel like rewrite, or a third attempt. Shark might be the first signs of an experiment settling into an historic literary movement, or it might be just a great book that consumed another great novel on its way. Either way, it is a challenging and rewarding tome that should be read, taught, and marveled at for ages.